We here at Sports Poster Warehouse have a special poster for all the fans of Pittsburgh teams; a crossover classic! This spectacular print celebrates one of the most memorable moments of the Penguins’ 2008-09 season. Clearly on a high after a Sunday afternoon shutout on home ice at The Igloo, Marc-Andre Fleury got himself into the civic spirit just minutes before kickoff of the AFC Championship Game. As the Steelers were about to take the field against the Baltimore Ravens in the final step to Super Bowl XLIII and ultimate glory, Fleury stepped onto the ice for his first star with a Steelers football helmet replacing his goaltender’s mask, and a “Terrible Towel” waving in the air to whip the crowd into a Championship frenzy. With a huge smile on his face in front of an adoring, enthusiastic crowd, this was pure sporting magic! Topped off by the attractive powder-blue old-school third jersey worn by the Penguins that day, and this is pure photographic and historic perfection. 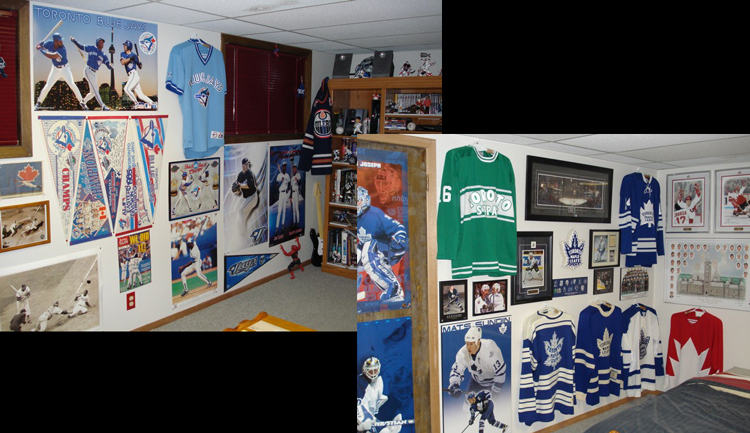 A SportsPosterWarehouse.com exclusive 16″x20″ print, complete with NHL and NHLPA official logos and a serialized NHL Products hologram for licensing authenticity, this is also a valuable collector’s item for years to come! For this and many other great photofiles and prints, visit www.sportsposterwarehouse.com. Hey folks! 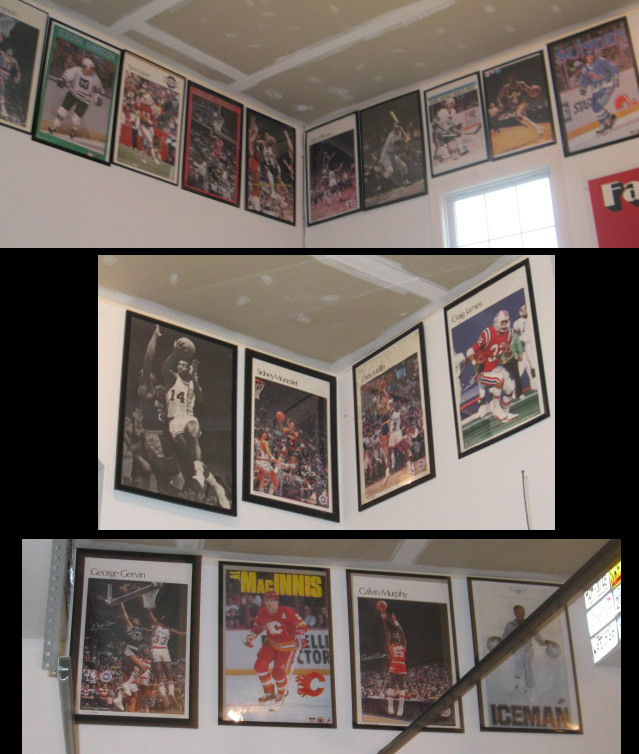 There is a huge buzz around Sports Poster Warehouse these days. Yes Spring is almost here and the days are getting longer, but that isn’t causing all of the commotion. The excitement is being caused by the arrival of a brand new line of NFL player pennants. These brilliant pennants, from Wincraft Inc.‘s limited-edition Signature Series (each pennant published in an extremely small print run of just 2,008), commemorate the great Brian Urlacher, Peyton Manning, Kurt Warner, Brett Farve, Larry Fitzgerald, Ted Ginn, Patrick Willis, Derrick Brookes and Jason Taylor with style and flair. With rare game-action photography, amazing graphics, a giant facsimile signature from the players, and an attached card printed with the serial number /2,008 to give each pennant individualized collectability, these are both a beauty for your wall, and a valuable collector’s item for years to come. Tags: Brett Farve, Football, football pennant, football posters, jason taylor, kurt warner, larry fitzgerald, NFL, nfl pennant, NFL posters, patrick willis, pennant, peyton manning, sports, sports pennant, Sports Posters, tedd ginn jr.
Brett Farve is without a doubt one of the greatest players in NFL history. His drive, determination and commitment were all tremendous, as he has left his mark on the game of football. This week, Brett has decided, once again, to call it quits. Farve was a 3 time winner of the Most Valuable Player award, he was selected to 10 Pro Bowls and won player of the week 13 times. #4 also owns several league records, including career passing yards, regular season wins by a QB and consecutive starts by a QB to name a few. To help us all remember what a great quarterback, football player and ambassador of the NFL Brett was, Sports Poster Warehouse wants to show off the finest posters of him. Bring your wall alive with one of the greatest Super Bowl games ever played, and a legendary moment in Pittsburgh Steelers history! It’s late in the evening on Super Bowl sunday, and after a wild, unpredictable, back-and-forth battle, the Arizona Cardinals have a three point lead with less than a minute left on the clock. But after a big-time 40-yard pickup by Santonio Holmes, Ben Roethlisberger and the Steelers stand poised on the 6-yard-line, poised to take the lead and, very possibly, seal their record sixth Super Bowl championship. As the largely Pittsburgh-partisan Tampa crowd rises collectively to its feet in anticipation…SNAP! The moment is preserved for all-time, and is now available for your wall. This incredible panoramic poster commemorates Super Bowl XLIII, and the penultimate moments of Pittsburgh’s remarkable victory to absolute perfection. Captured by the lens of legendary panoramic sports photographer Rob Arra, this print celebrates an unforgettable night in sporting history! All the details of Raymond James Stadium and its magnificent Super Bowl setup are here, in perfect focus, ready to take their rightful place on the wall of any true football fan! Capped off with the official NFL and Super Bowl XLIII logos, the team helmets of the competing teams, the final scoring line, and a commemorative title, this is a stunning work of sports art and historic collector’s item, perfect for your sports wall-of-fame! 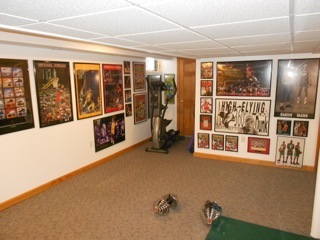 For this and many other great Super Bowl posters or panorama prints, visit http://www.sportsposterwarehouse.com. Hello folks! At this point, no formal introduction is needed in order to commend the Pittsburgh Steelers on their league leading 6th NFL Championship! Sports Poster Warehouse has brought in 2 more commemorative posters to help celebrate the crowning of football’s most successful team. So without further adieu, here they are…. This spectacular, rare poster celebrates the Steelers’ history of greatness in true perfection, setting action shots from 2009’s big game against a Steeler-gold background, and a “Big 6” that contains the official logos and final scores of all six championship victories. It also has action shots from win #6 featuring Hines Ward, Ben Roethlisberger, Santonio Holmes, James Harrison, Troy Polamalu, and the entire defensive line. Commemorating the wild, hard-fought 27-23 win over the Arizona Cardinals are the following images: Troy Polamalu in a beautiful helmet-raised pose under a confetti-filled sky; Ben Roethlisberger being mobbed by his teammates after throwing the game-winning touchdown; game MVP Santonio Holmes holding the Vince Lombardi trophy high; Roethlisberger gratefully embracing two of his offensive linemen; Ben saluting the fans as the clock ticks down; the QB being moved nearly to tears during a post-game NBC Sports interview; the legendary Hines Ward displaying the raw emotion of a veteran superstar appreciating every moment; and the QB with his receiving hero Holmes, embracing in knowledge that their miraculous reception made the moment possible. Celebrate Steelers Super Bowl With Limited Edition Pennants! Today, the Pittsburgh Steelers and the entire city of Pittsburgh are basking in their glory. There is a massive festival and parade planned for today to celebrate the Steelers Super Bowl victory. The entire city is buzzing with excitement. Celebrating the most successful NFL football squad of all-time! This brilliant pennant commemorates the spectacular championship success of the Pittsburgh Steelers, now winners of a record six Super Bowl victories. Published just after the Super Bowl XLIII win on February 1, 2009, this beautiful design features the official team helmet design, the historic “6-Time Super Bowl Champions” title, and the official logos for each victory (Super Bowls IX, X, XIII, XIV, XL, and XLIII). Both a beauty for your wall, and a valuable collector’s item for years to come. Part of WinCraft’s premium pennant line, the amazing graphics are printed in full-color on a revolutionary soft-and-durable “Roll-it-and-Go” felt that can be tucked tightly away if necessary, and look just as good when unfurled again, ensuring your pennant will continue to look great and last a lifetime. There are a limited quanitity of these awesome pennants, so be sure to place your order quickly! Hey folks! As many people witnessed, Super Bowl 43 in Tampa Bay was all about big plays, as most close games are. It’s all about the difference makers; Larry Fitzgerald’s big catch and run, Kurt Warner’s tremendous game and Ben Roethlisberger’s late game winning drive. However, the two biggest plays in Super Bowl 43 belonged to the Pittsburgh Steelers’ James Harrison and Santonio Holmes. These two men created eye popping, jaw dropping plays that essentially sealed 6th NFL championship for the city of Pittsburgh. Commemorating an emerging NFL superstar, and an instant Pittsburgh Steelers legend! This spectacular poster celebrates the MVP performance of the dynamic, sure-handed, acrobatic Santonio Holmes in Super Bowl XLIII, February 1, 2009, when his toe-dragging 6-yard TD reception with just 36 seconds remaining capped off a career game for the player, and a historic victory for his team. In an amazing black-and-gold design, the poster gives you a commemorative title, Santonio’s stats line for the game, and three photographic images, including the winning catch itself! It is a play that will live on forever in football lore – the longest play in Super Bowl history! With just 18 seconds left in the first half, Kurt Warner and the Arizona Cardinals snapped the ball from the Steelers’ two yard line, poised to either tie the game on a field goal, or take the lead with a touchdown, heading into the half. But Warner’s attempt to hit his receiver in the end zone with a quick pass backfired, as the NFL’s defensive player of the year was in the neighborhood. Reading the play perfectly, James Harrison stepped in front of the intended target on the goal line, intercepted the pass, and started to run…and run he did! One hundred yards of great blocks, missed tackles, and true perseverance later, Harrison made it to the end zone…and the rest is history! This legendary photograph captures the scene to perfection: from the cheering fans in the stands, to the fallen Steelers blockers on the field, to the desperate Cardinals players chasing in vain, to the great Troy Polamalu already celebrating from a field’s length away, it’s all here, a moment of history for your wall! For these and other brand new Super Bowl items, visit www.sportsposterwarehouse.com!